So anyways..I did go for the skin consultation. And little did I know that I ended up using their skincare for two years everyday without fail, after that day! haha. - That's quite long for me, because I usually don't stick around to use the same brand for more than a year! - Because these hands are always sooooooo itchy to buy new products whenever there's a "special promotions" or "last day sale" or "limited stocks/edition" signs! Pfffft. But well.. SK II has made me stayed with them and be loyal for two years now! And that's something new for me! hehe.. - I always wanted to find the right skincare for my skin, and just stick to it! Because I don't know whyyy..I always don't feel satisfied enough with my skin, although my skin doesn't look so bad at the time. Thus explain why I keep on changing brands. Sigh.. So anyways...the skin consultation was about 5 to 10 minutes only. 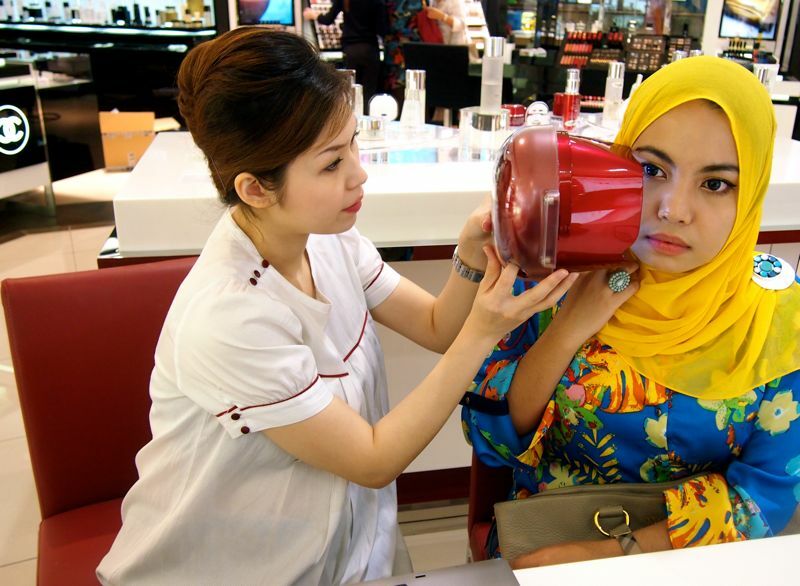 Besides getting to know more about the skin, the Beauty Consultant also analyzed the 5 dimensions that makes skin crystal clear. 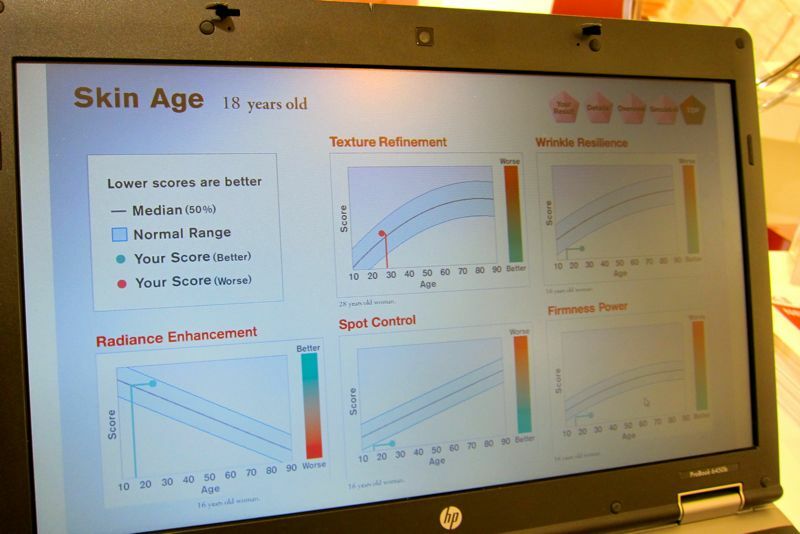 The 5 dimensions are Texture Refinement, Firmness Power, Wrinkle Resilience, Spots Control and Radiance Enhancement. 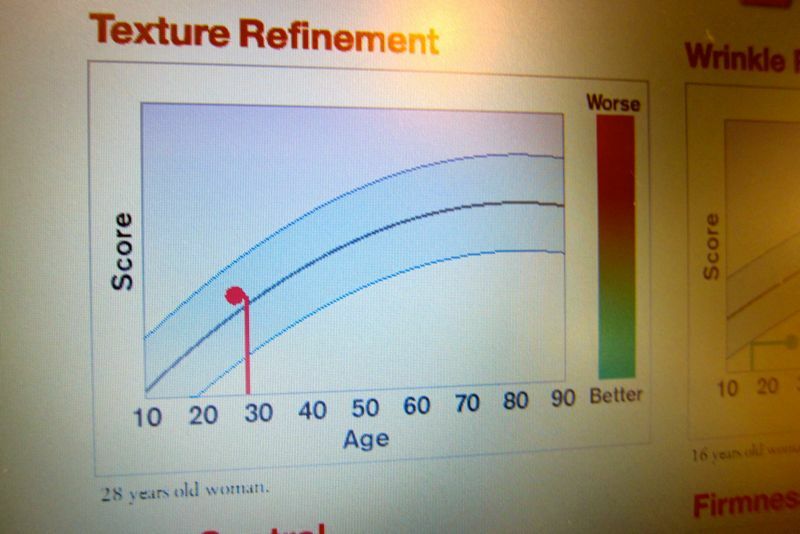 Texture Refinement – finer texture, more moisture, less oiliness, less visible pores. Firmness Power - more energized, firmer contour/curves, more lifting impression on eye & mouth corners, less visible nasolabial fold (laugh lines). 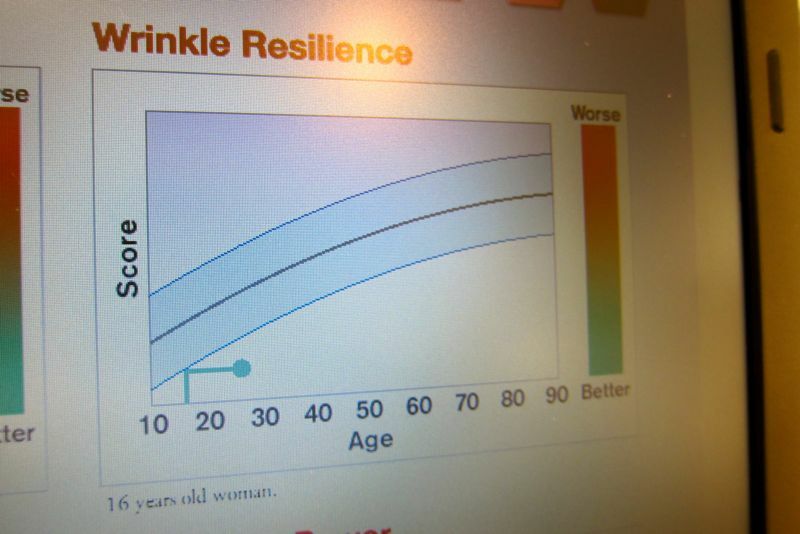 Wrinkle Resilience - less fine lines, less dynamic line with expression, less static lines/wrinkles, less connected lines. 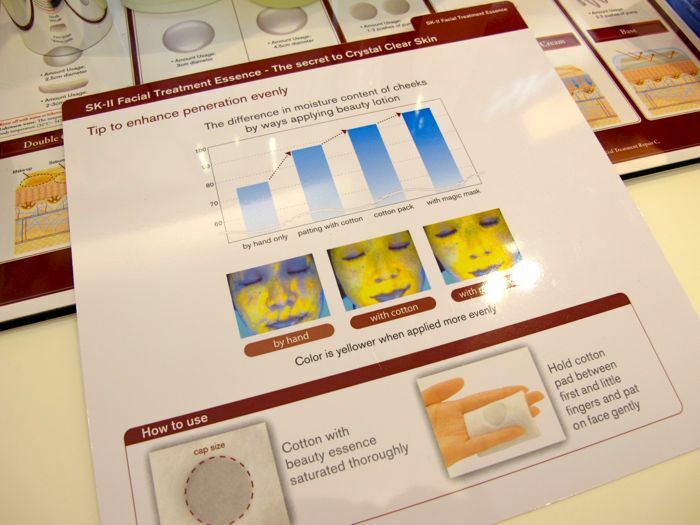 Spots Control – less brown spots, lighter brown patches, better tone evenness, reverse stubborn spots. 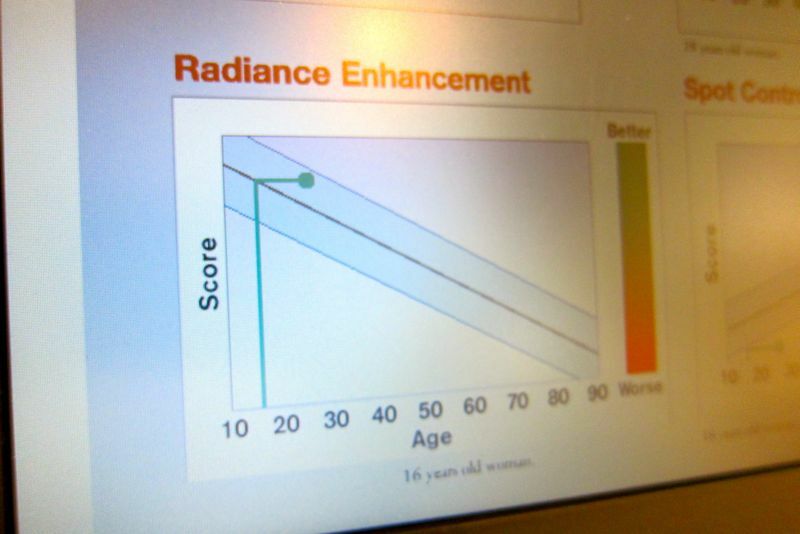 Radiance Enhancement – more translucency, more radiance, more glow from within, less yellowish & dullness. 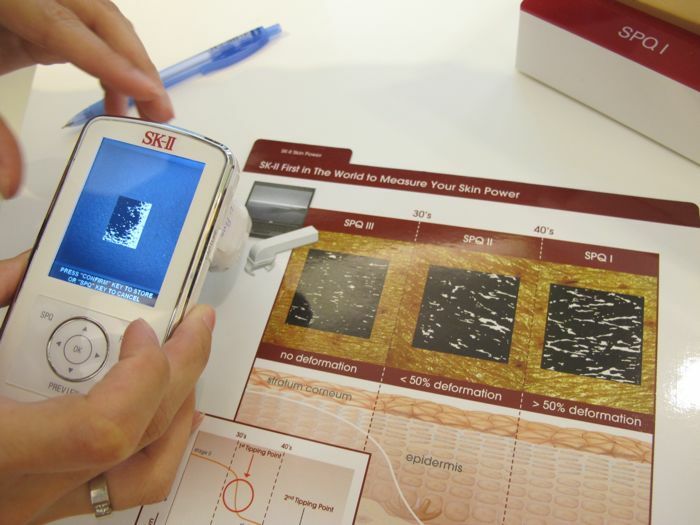 The skin check only took us about 5 minutes with this device..
Few minutes later, the result came out..
My beauty consultant explained about the skin.. 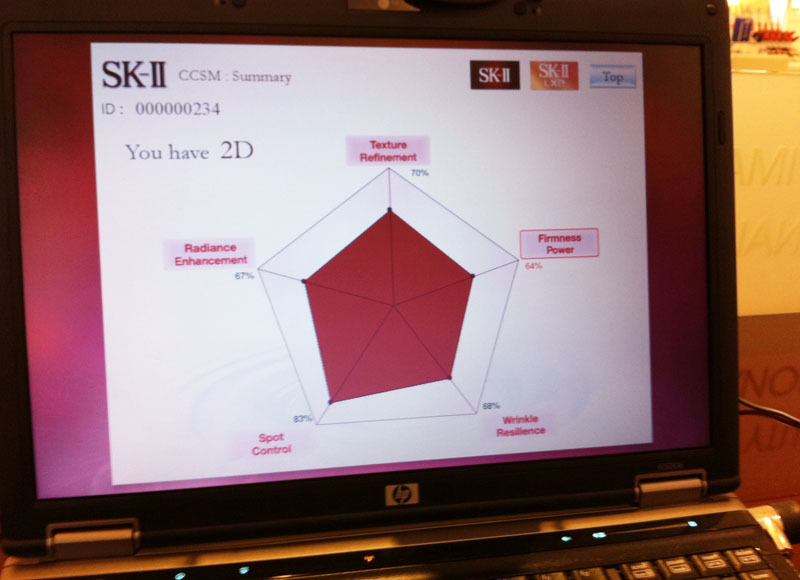 The result shows that I had only 2D - Two dimension out of the Five dimension for a Crystal Clear Skin that I just mentioned above.. 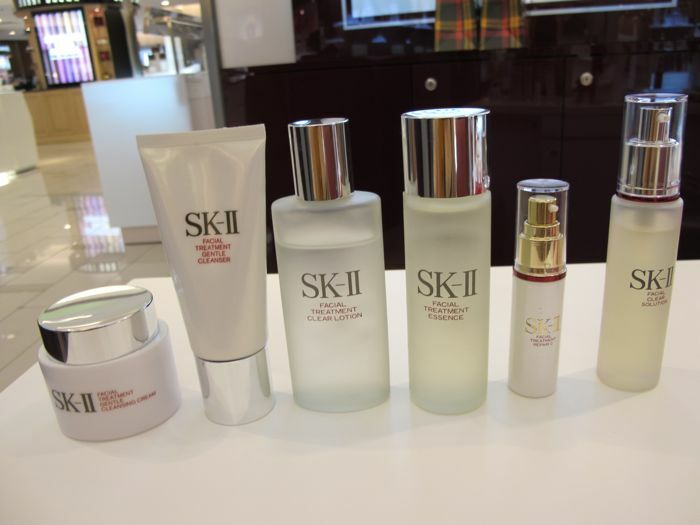 The beauty consultant introduced me the SK II products and explain one by one of its benefits and how to use them..
Cleanser, Toner, Essence, Serum, Moisturizer..
She showed me the correct way to use the Facial Treatment Essence..
..by soaking the cotton pad wet, and apply it evenly on face to penetrate the essence deeply into the skin! And then she gave me some samples for me to try at home! 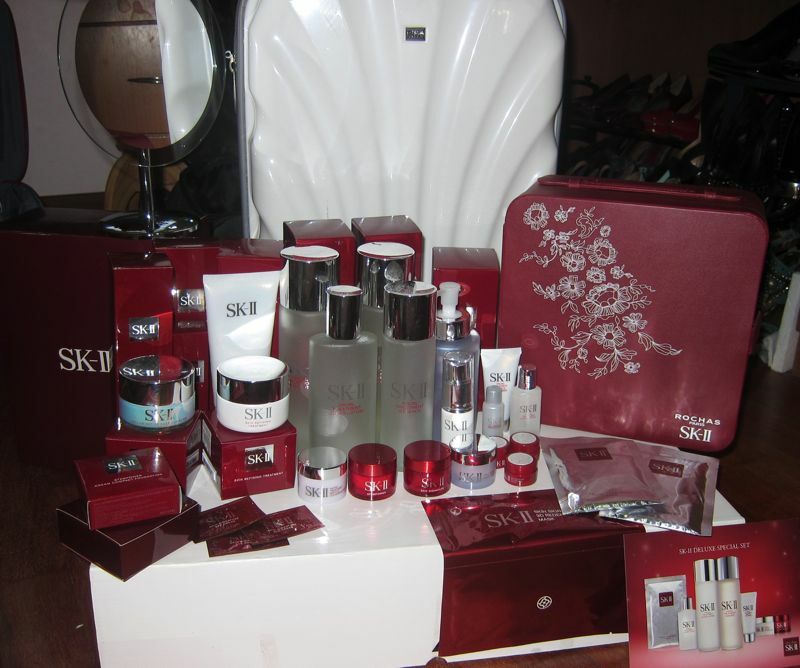 So because of the great result SK II has made to my skin, I have been their loyal user since then! 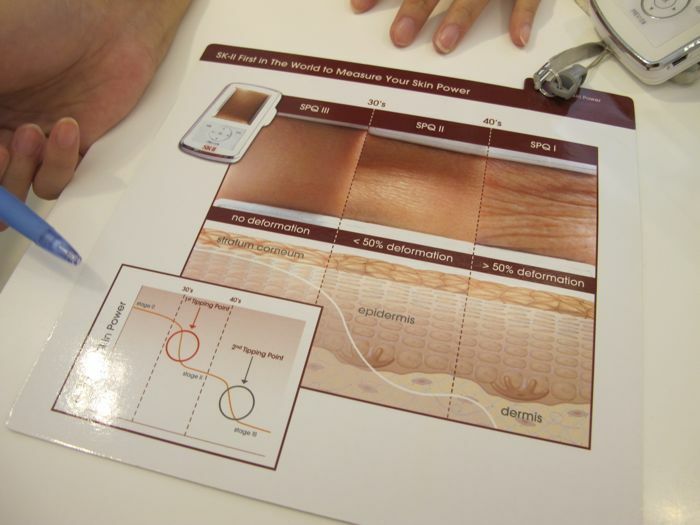 So I took the opportunity to do a skin check with them again..
And this time, using their new hi-tech machine called the Magic Ring. 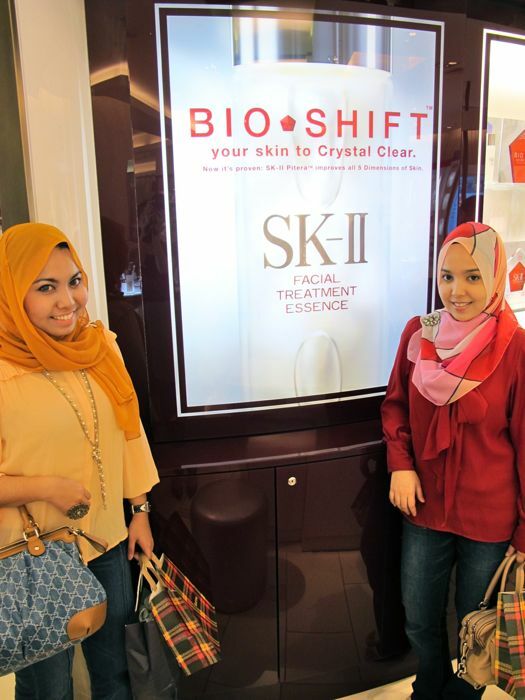 I wanted to see if there's any changes in my skin, after two years of using SK II.. It only took a few seconds to measure your skin power with this Magic Ring! 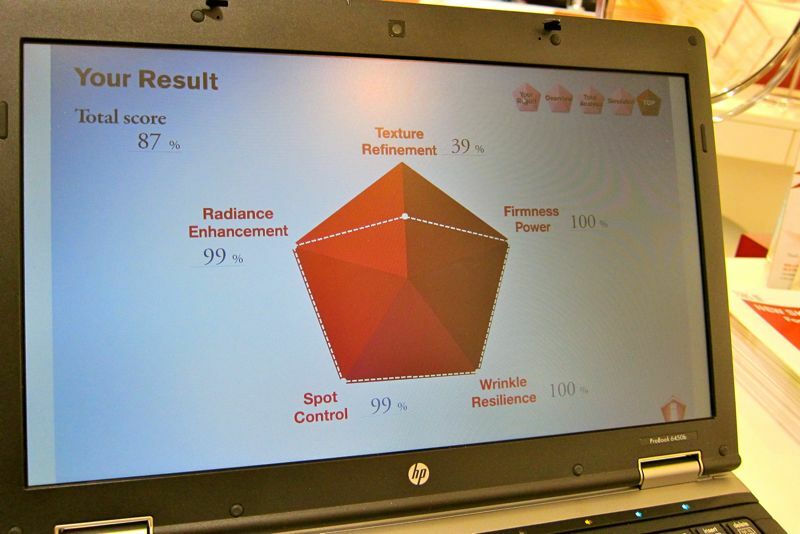 Oh..I wonder if I don't have those bumpy whiteheads on my skin, would I get a total score of 99%? Woww..best nya kalau jadi betul-betul! hehe. Even my sister was surprised with the result! 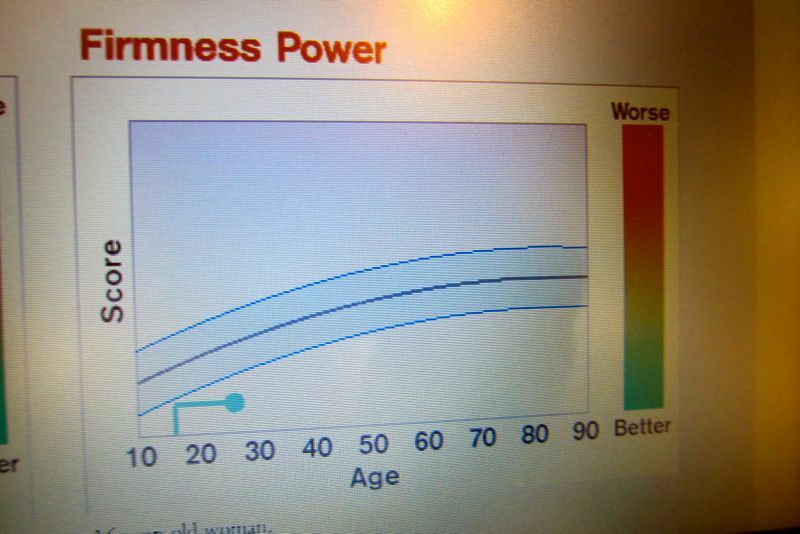 She got lower score than me..huhu. 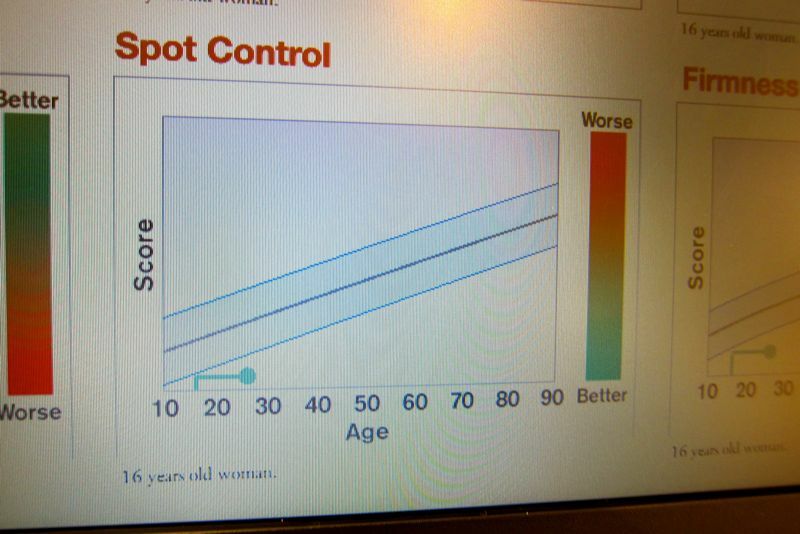 I think her total score was about 70++%. Can't remember exactly how much.. But somehow, her skin still looked really really very flawless! Oh man, SO tak aci! hehe. I want a clear, flawless skin on the outside tooooo!! Radiance Enhancement - like a 16 years old skin.. So, in conclusion, my skin is actually quite good laa, kan? It's just on the outside je nampak texture tak elok...because of that bumpy white heads that I have! Ishh.. Screw youuu, Clarissonic! 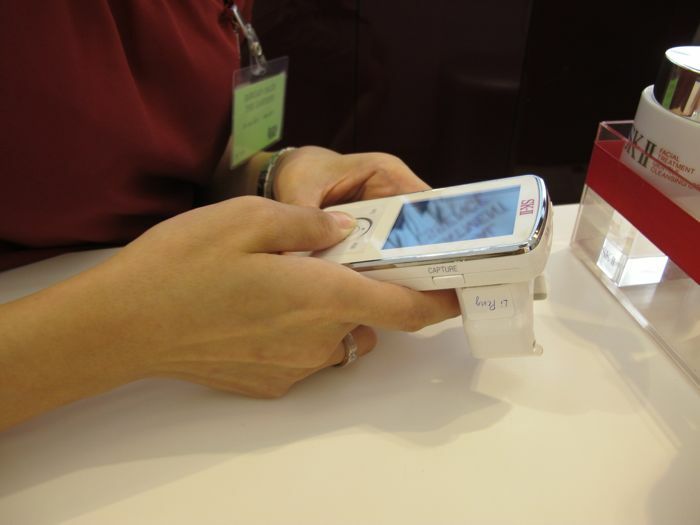 No more using it! huhu. Thus, now.. I'm on a mission to clear my white heads. It's gonna take some time because it's a lot! Sigh. But..patience is a virtue, I suppose? Hopefully, in a month's time, my skin has cleared up! I have a big event to attend! Wish me luck guys! wow thanks so much for this post. 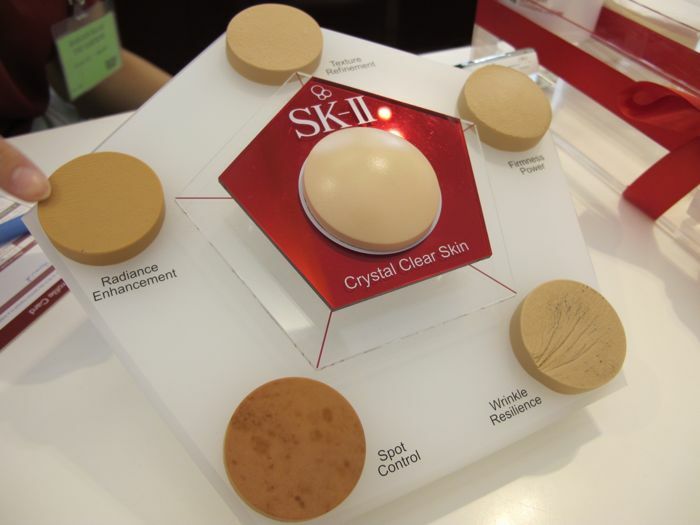 i've been eyeing the sk ii line for quite a while now but a bit scared that it will only be a waste of my money. reading this makes me wanna get their products asap. wow! 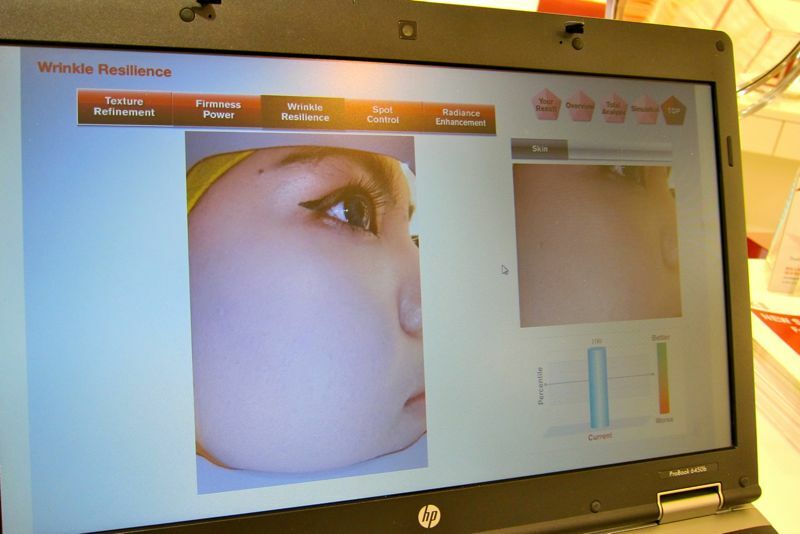 !menarik..maybe i should try this product too..
tapi you have a fair complexion already, so the affect is visible. 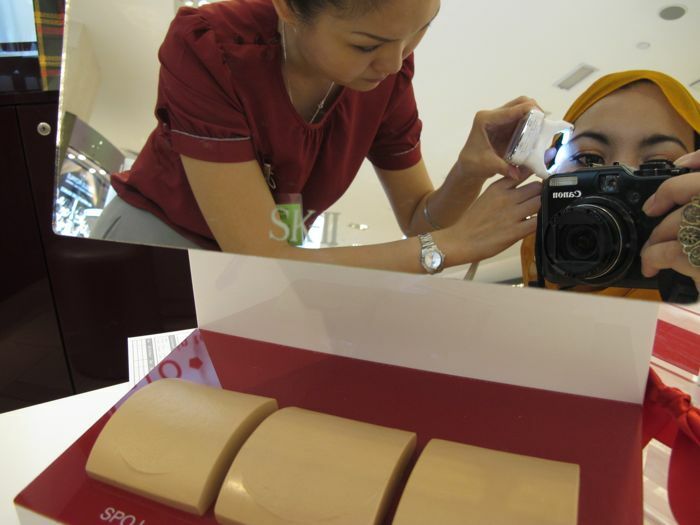 Does SKII have any testimoni for someone with malay-dark complexion. 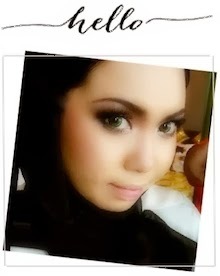 Most of the model (including you :-) ) have fair complexion, kulit cerah, so it's very visible. Tried to use them. 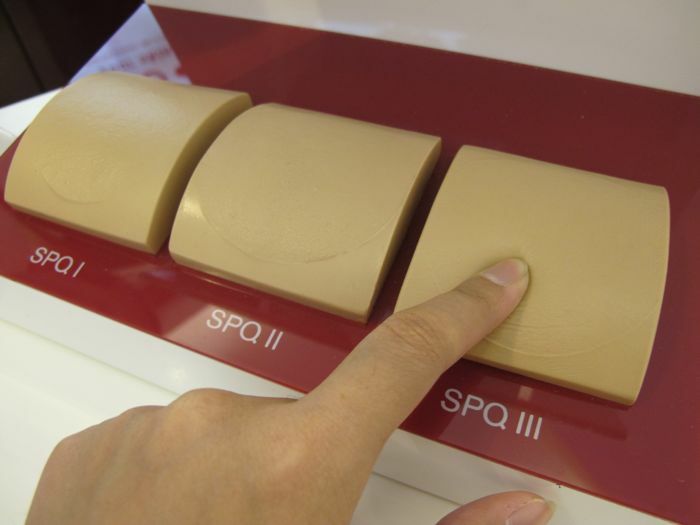 But unfortunately their SK II not suitable for me at all. I felt so itchy and my skins are grassy. Dear wani,i've sent an email to u?is schazwanyhameed@gmail.com still active?perhaps u can spend some time to have a look.thanks. Salam wani. Macam mana Wani buang segala whiteheads tu? care to share? not suitable for me especially the miracle water. muka jadi merah2 n biji2. i change back to my ori skincare clarins. 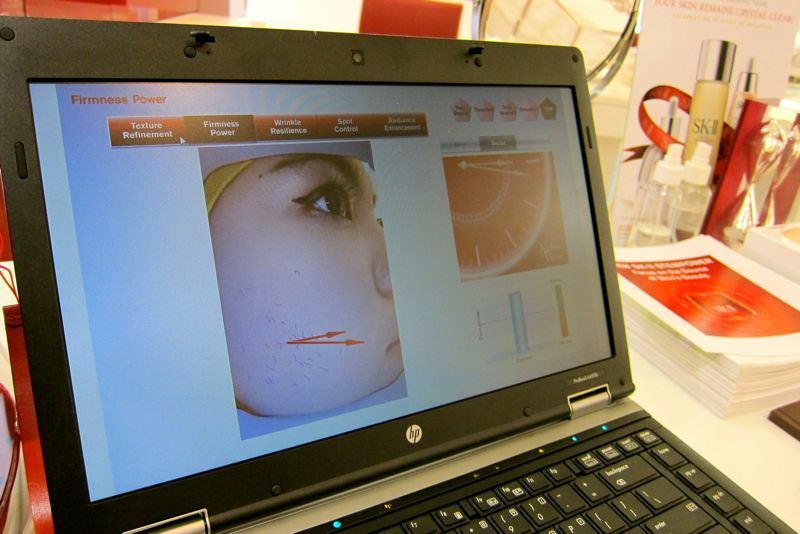 hi shazwani, may i know where did you go to get the skin 'check up'? 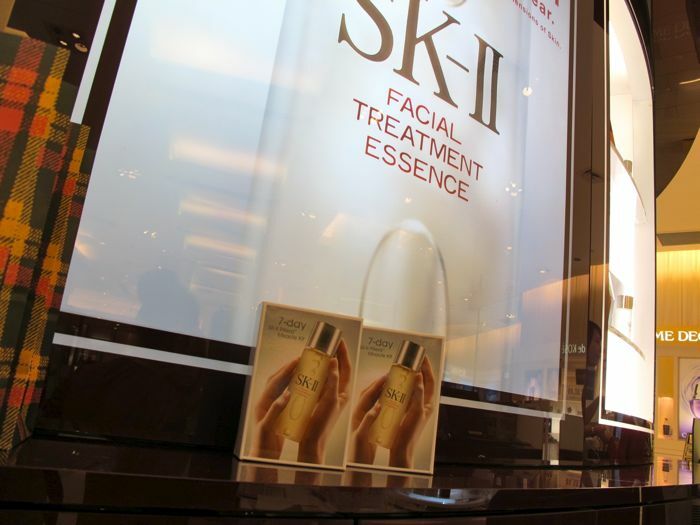 or is it available at all sk-ii counters in selangor/kl area? Thanks for the information. Good read. I agree with you, skincare is worth every penny if it works. 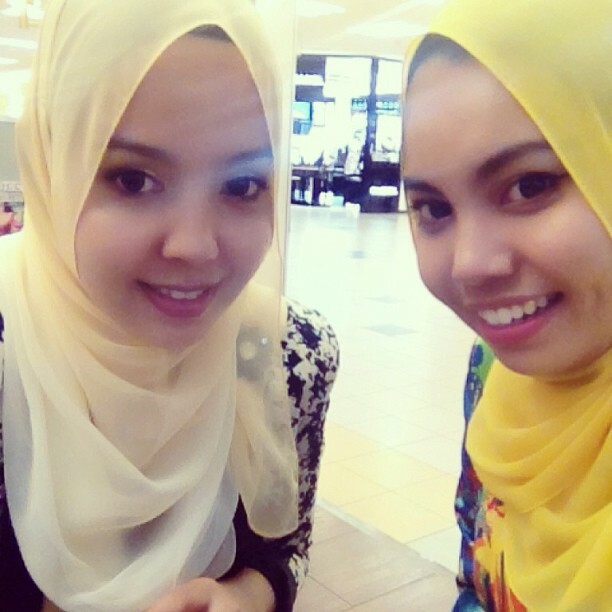 Feels free to visit Bellesy for SK-II deals. 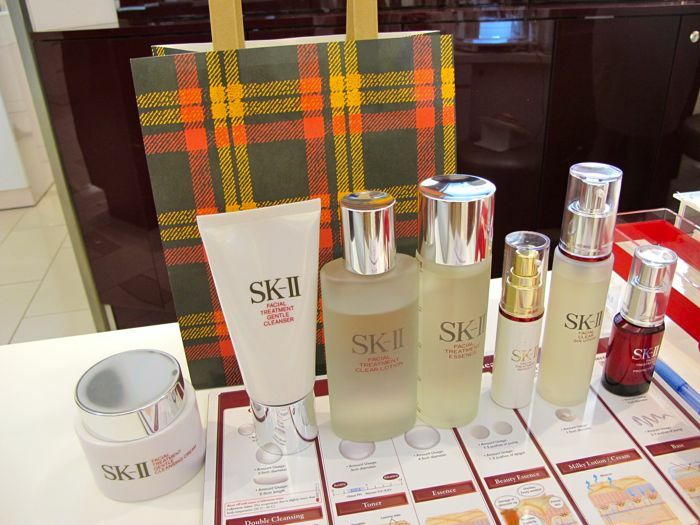 By the way, great post about SK-II products! Product ni sgt berkesan dgn sy.. dulu muke bnyk parut.. alhamdulillah skrg dh ok.. tp hrga counter mahal sikit.. sy dh jumpe seller yg jual hrga lg jimat dr counter.. product dia ori.. xsgka dpt jimat bnyk..klau nk cube..try la view ig @sk2_atiey_hah..